Six years after the revolutionary CRISPR-Cas9 genome editing system emerged, Editas Medicine and its Dublin-based development partner Allergan are about to start a phase I/2 in vivo trial of EDIT-101 in patients with Leber's congenital amaurosis type 10, the most common form of inherited childhood blindness. The green light from the US Food and Drug Administration (FDA) to start clinical testing marks another historic milestone in the rapidly moving field of genomic medicine, following Sangamo Therapeutics’ recent read-out of preliminary data from their first in vivo trial of a therapy based on zinc finger nuclease technology (Nat. Biotechnol. 36, 907–908, 2018). While the world’s attention focused on claims of custom babies using CRISPR, Editas received approval to test a gene-editing drug in people. The FDA’s permission for a genome editing trial, issued on 30 November, allows Editas to test EDIT-101 therapy in patients. EDIT-101 is designed to correct a point mutation in the CEP290 gene, the IVS26 mutation, that leads to incorrect splicing of the CPE290 transcript and a dysfunctional CEP290 protein. CEP290 is thought to play a structural role in the cilia of light-sensing photoreceptor cells in the retina, though its function is not precisely understood. At 8 kb, the CEP290 gene breaches the 4.7-kb packaging limit for adeno-associated virus (AAV) vectors. That rules out a conventional AAV-based gene therapy approach, such as that used by Spark Therapeutics in Luxturna (voretigene neparvovec-rzyl), which is also approved in Leber’s congenital amaurosis, specifically for a form of the condition caused by retinal pigment epithelial 65 (RPE65) gene mutations (Nat. Biotechnol. 36, 6, 2018). Both Luxturna and EDIT-101 use an AAV vector. But whereas Luxturna’s gene therapy restores functional levels of RPE65 by delivering a correct copy of the affected gene to retinal pigment cells, Editas’s CRISPR agent simply corrects the IVS26 mutation by genome editing. The AAV5 vector employed in EDIT-101 contains two guide RNA molecules, gRNA-323 and gRNA-64, that identify the location of IVS26. Both guide RNAs are expressed under the control of a U6 polymerase III promoter. The system also contains DNA encoding a Staphylococcus aureus Cas9 enzyme under the control of a rhodopsin kinase promoter, specific to photoreceptor cells, which performs the necessary cut. The therapy employs nonhomologous end joining to fix the resulting double-strand break. In the trial, the vector will be delivered, by subretinal injection, to a single eye of between ten and twenty adult and pediatric patients. The study is expected to run for three years in all, but data could start to flow much sooner. "As it is open-label, we will conduct interim analyses during the study, and can do so at any time," says Editas spokesperson Cristi Barnett. Editas is facing unexpectedly stiff competition in its lead indication, as Leiden, the Netherlands-based ProQR Therapeutics is gearing up to move an RNA-based antisense oligonucleotide therapy, QR-110, into a pivotal phase 2/3 trial in Leber's congenital amaurosis type 10 next year, after reporting unexpectedly positive data from a phase I/2 trial in September. The therapy elicited clinically meaningful improvements in vision in about 60% of the participants. "Nobody thought that targeting RNA was going to work in that way," says Michel Michaelides, professor of ophthalmology at University College London. What's more, ProQR’s delivery method, intravitreal injection, did not cause problems with inflammation. Subretinal delivery, in contrast, involves retinal detachment, which can lead to retinal tears, macular holes and other complications that may require further surgery. "Detaching the retina is a far more risky thing to do," he says. At the same time, if it works, EDIT-101 may only require a single administration, whereas QR-110 requires ongoing injections. 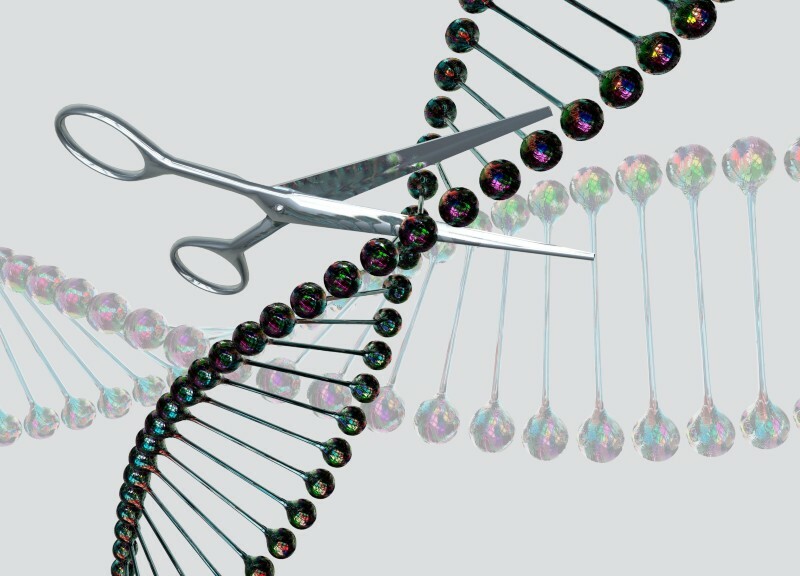 The upcoming trial marks the maturation of the CRISPR–Cas9 toolset into a clinical-grade technology. CRISPR Therapeutics is also nearing the clinic, having received FDA clearance for an ex vivo CRISPR-based therapy in β-thalassemia and sickle cell disease. The efforts of these companies and their peer Intellia Therapeutics, all of whom are focused on treating human disease by editing somatic cells, stands in marked contrast to the ethically and scientifically questionable work recently claimed to have been conducted on the human germline in China. The FDA’s acceptance of the EDIT-101 investigational new drug application triggered a $25 million milestone payment from Allergan to Editas.